There is no enough free space on your Xbox One S hard drive. We will show you the best way to upgrade Xbox One S hard drive to larger HDD/SSD with AOMEI Backupper in Windows 7/8/10. Xbox One S is the redesigned model of home video game console, released in August 2016. It supports 4K video playback and HDR10, and has a smaller size than ever, internal power supply and up to 2TB of internal storage, including 500GB, 1TB, and 2TB. Xbox One S is the most advanced Xbox and attracts many game enthusiasts. However, many users would meet the problem that the hard drive on Xbox One S will fill up quickly since the applications and games installed. Thus, how to free up space on Xbox One S when you get a low hard disk space warning? As for general users, remove unused applications and videos to free up space, but it’s not the ideal way. For professional users, you may find the best larger hard drive for Xbox One S to do Xbox One S drive upgrade, it’s very useful and sagacious. Select a larger HDD or SSD drive right for Xbox One S drive upgrade. Get some extracting tools for remove and install hard drive for Xbox One S.
Format the HDD or SSD drive in Windows computer for Xbox One S console with a professional disk manager software. 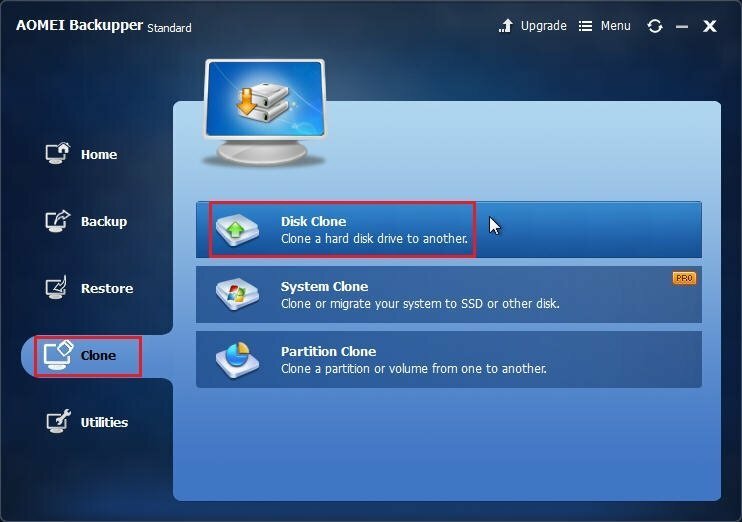 Download best free disk cloning software to upgrade Xbox One S drive to SSD/HDD easily. How to Replace Hard Drive for Xbox One S? In order to upgrade Xbox One S drive without losing data, you have to unplug the Xbox One S hard drive first, and clone all the data from that drive to SSD/HDD to upgrade Xbox One S hard drive. How to upgrade Xbox One S internal hard drive to SSD/HDD in Windows 7/8/10? 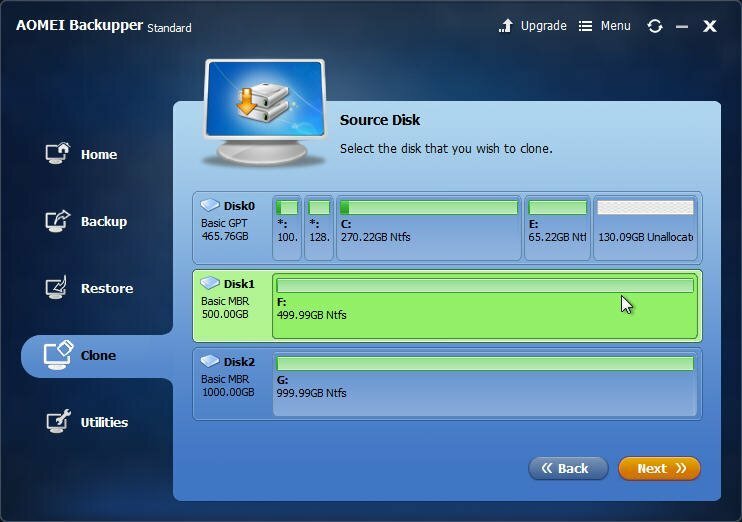 Using the best disk cloning software-AOMEI Backupper Standard, this software has a perfect performance for replacing Xbox One S hard drive. Before you start the work, make sure you have connected the two hard drives (Xbox One S hard drive and the larger HDD or SSD drive) to your Windows PC. Install AOMEI Backupper Standard and open to its main home window. 1. To do Xbox One S drive upgrade, select Disk Clone at the Clone tab at the left side. 2. Choose Xbox One S internal hard drive to clone. 3. Select the larger HDD or SSD as target disk to store data from Xbox One S internal hard drive. Please backup the important data on destination disk first in case of data loss, because all the data will be wiped out after the cloning. 4. Press Start Clone to upgrade Xbox One S hard drive. 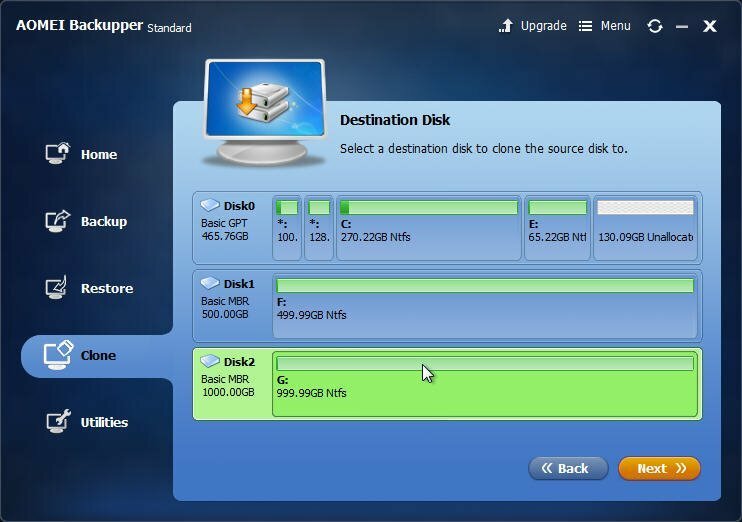 Tips: You could tick Sector by sector clone to clone all the sectors to larger HDD/SSD. 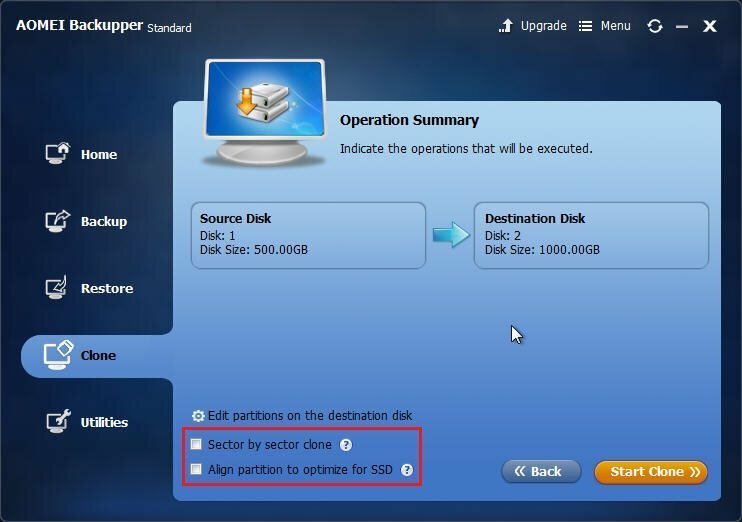 Besides, you have to check the Align partition to optimize for SSD option if your destination disk is an SSD drive. After cloning, unplug the two hard drives and install the larger HDD or SSD onto Xbox One S console, then you will find there has more free space to store data on Xbox One S. By the way, you will find there is an unallocated space on larger drive after the operation of cloning finished, you could resize the partition to its actual partition size with a professional software. With the software, you could backup Xbox One S hard drive, then restore data to another hard disk, it can be alternative to the cloning operations. Moreover, you can create partition backup, file backup and other backups, about more features about AOMEI Backupper, you can visit here.